You know very well that french press coffee makers categorically leave too much sediment in your cup. Dual filter french press coffee makers however capture a lot more of the fines while still allowing the oils pass through making your coffee taste even better. 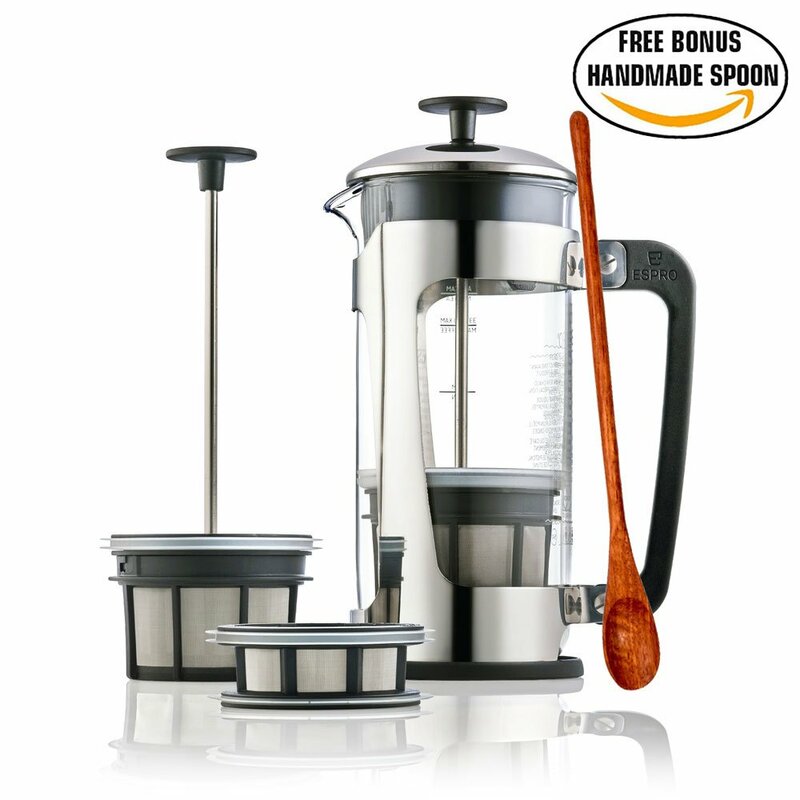 Its a commonly accepted fact that french press coffee is some of the best coffee on the planet so I hope you consider splurging on once sooner than later because you will simply enjoy your coffee that much more. The vast majority of plungers use a single filtration system or at most a double stacked fine mesh screen. The problem with these is that the smallest grind particles can pass straight through these filters. After experimentation with my P7 Espro Press however I’ve discovered that sediment can be almost entirely removed because of the plungers unique dual filters. The best models out there in fact are the ones with two filters, even those that just stack mesh filters on top of each other. But there are so many models that do this and only a few take it a step further. Only a few actually perform significantly better than the rest and that’s the purpose of this article. Below I’ve identified five of the best press pots that filter your coffee better than the rest with the aid of double filtration. Let’s look at the list and compare. As I just said, there are quite a few models out there that you might want to go for. In fact, there are so many that you might even get confused. Let us check out the main models and see what’s so special about them. After that you should have a good idea about which model is going to be best for you. One of the main things that tops this list is the winner of the 2016 Best New Product award: Espro PRess P5. This is a beautiful coffee press that’s not only super functional because of its dual filter structure, but also really durable because it’s made from a kind of glass that’s 140% as thick as the usual glass that goes into making coffee presses. Because of all these reasons, this model is one that almost all people who make coffee with a French press admire. Plus, it’s dual filter makes it super effective at doing what this whole article is about. So, it’s one of the models you can always go for without thinking twice! Please keep in mind that this model comes in 18 and 32 oz sizes. 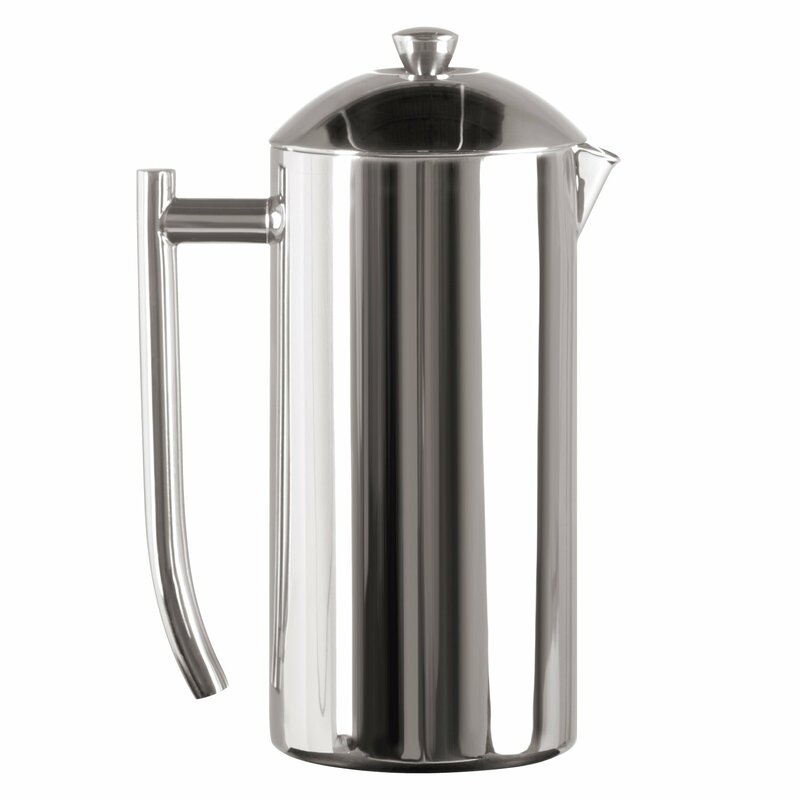 Next comes the Frieling USA Double Wall Stainless Steel French Coffee Press. As the name makes it clear, it has a double wall. This double wall is made of high quality 18/10 stainless steel. This ensures that your product will not only be solid and sound, but also quite durable. Besides that, it has an insulated serving pitcher, so it can retain heat for a long time. It also comes in a wide range of sizes such as 8, 17, 23, 36 and 44 oz sizes. This gives a option to everyone, regardless of your space and quantity needs. 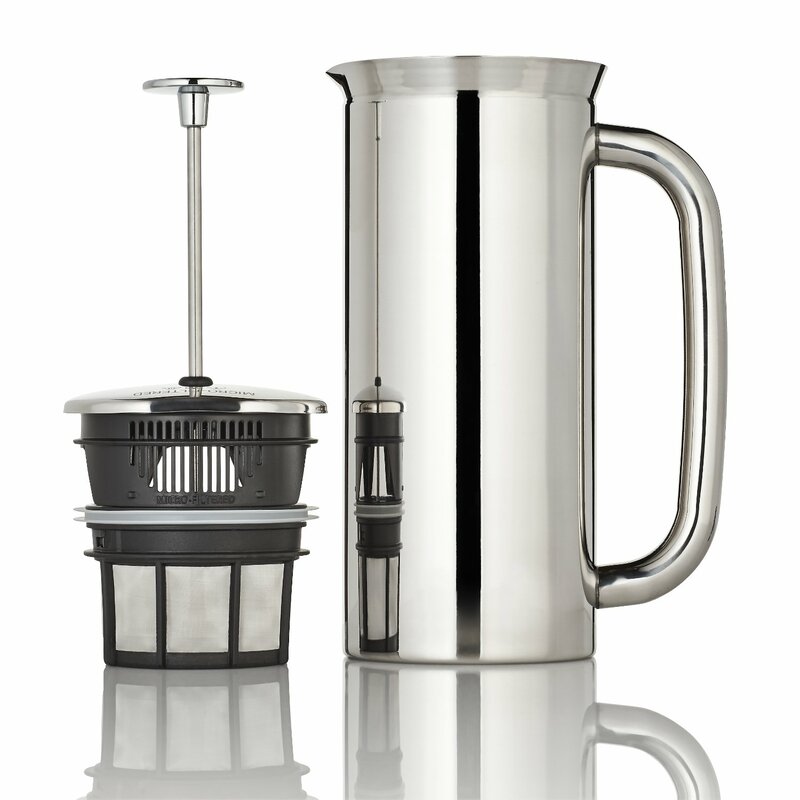 The Espro Coffee Travel press, as you can figure out from its name, is actually intended to be more portable. It’s also far more portable than most other models that you find out there. Not only that, it has a really beautiful look that is bound to catch anyone’s eye, even if you only plan to use it at home. And, of course, at the end of the day, it does perfectly what it’s supposed to do. It also has the dual filter setup and is available in a 12 oz size. It only comes in a smaller size to keep it portable. All of these are closely followed by the Espro Coffee Press P7! This one, as is obvious from the name (as usual) has a capacity of 32 Oz. and is vacuum insulated, letting it hold the heat for much longer than most other coffee presses. It also has a polished stainless steel body for a beautiful look and excellent durability. The dual filter also ensures that none of the sediment gets into your coffee, making this already great product a greater one! And let’s conclude the list with one more great product, that even comes with a bonus spoon for all your serving needs! 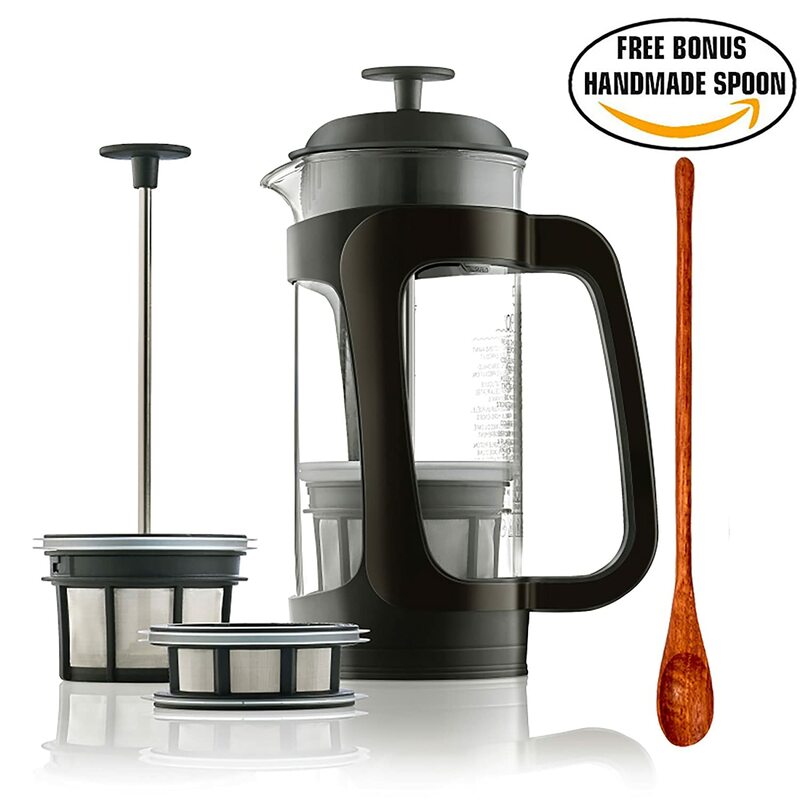 Yes, you got it right- the Espro P3 French Press Coffee Maker! This model isn’t famous for just one or two things. Everything about it makes it special. It includes a special variety of glass, the SCHOTT Duran glass, which makes it super safe and really durable. Naturally, being on this list, you also get what we are looking for, the dual filter setup. All in all, I’d say that this model provides you with so many things that it’s actually worth going for. Plus, you get the beautiful bonus spoon. You look at the spoon from several perspectives. It’s functional, is really handy when it comes to serving, and from a financial perspective, it’s making the whole purchase more sound. So, all in all, it’s a really great deal in my opinion. You must naturally be wondering as to what we can base our judgements of any French press on. Of course, there are a few factors that are the same for all of them; however, there are a few things which vary from model to model and we can consider those to find out which model would be the best. One of the main things that we’ve taken into account here, as the whole article is based on it, is the fact that it must have a dual filter. All the models that you can find on this list have dual filters, making them have that point to their advantage. Another thing that you must keep in mind is the durability of a product. You might have a lot of options, but a good and durable product actually makes itself worth it. In case of other products, while it looks less expensive, you’re actually paying more with replacement costs. Another thing that you must consider is the size. You must be aware of your needs and buy the model(s) that serve them, perfectly. So be sure to buy the model that’s the right size according to your consumption and space needs. Next, there is the factor of specialty. Some models are made for specific cases, such as the portable model we mentioned in our list. In such a case, once again, your needs come into consideration. If you’re looking for something like that, then that must be a good thing to go for because special models are mostly unique. And at the end, the economic factor must always be kept in mind. You can’t simply exceed your budget, so you must make the most within it. If you can’t afford it, you must control yourself from buying more expensive models, as tempting as it might be. You’ll find that it’s actually a pretty good decision to be economically wise at the end of the day. As you can see, we’ve got our priorities sorted out on this. We know the points that we are going to take into consideration when we compare the models. Since we are giving you a generalized comparison, we can’t take your specific points into consideration. However- you can! So you must keep in mind that the right model for you depends on your specific needs and you must always judge according to them. In that way, you can easily find the right model and, once again, the above mentioned points have been taken into consideration in our case. We have tried to arrange them properly in order to be able to compare all the models. From that, we have shortened the choices up to this list. We have chosen these models because we believe that they are all really special and these models deserve special mention. Now you judge for yourself, from here. Now, I know your mind must be flooding with a lot of questions. As your host, it’s my duty to answer them, but honestly, it’s more of a pleasure than a responsibility and so, here I am. Feel free to contact us if you have any specific questions. Here, I’m going to answer a few questions that are mostly asked at this point. Once again, if you have any more questions, feel free to contact us and we’ll try our best to help you out with that! Is sediment always formed when we make coffee with the French press? Well, yes it does, actually. As a regular coffee maker, you know how making coffee is. It’s pretty much a guarantee that sediment will be formed and that’s exactly why we need to use presses with extra filters so that we don’t find it in our coffee when we drink it. Is it safe to filter it in the French press? One of the questions I frequently come along is if it’s safe to actually filter coffee. Well, it’s no different than holding back the grounds with your hands, so worry not, it’s completely safe. Not only is it safe but, it’s also recommendable because the press is specially designed for that purpose, making it more efficient and time saving. Are single filters not enough? Well, I won’t lie and tell you that it’s always so. But well, sometimes there is a bit of sediment left even after a single filtering, and not everyone enjoys that. That’s why these double filter models have cropped up, which work to make sure that you don’t have any sediment in your coffee. 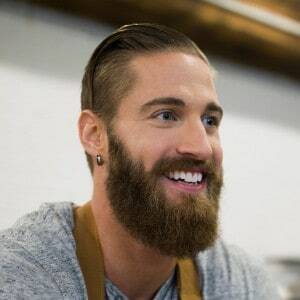 Well, in most of the cases here, it isn’t really too important because these machines aren’t too expensive, but you must be aware about how much you can spend. You have to make a budget before you go out to buying anything if you don’t want to end up in serious trouble. So, you have to take care of that and buy a model that fits your budget. That’s one of the things a smart shopper always does. 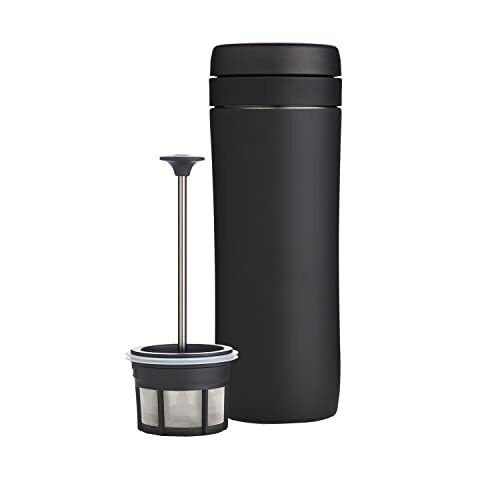 So, at the end of the day, there are all these French press models out there and as you just saw, there are a lot of really nice models as well which offer you dual filters to keep the sediment out of your coffee. However, as with all things, you must still be aware about your specific needs and judge the product according to that. You must keep in mind that the most recommended model out there isn’t always the right one for you. The best one for you is the one that serves all your specific needs at the most reasonable price. So, keep that in mind and you’ll be good to go! Gamble Bay Coffee is here for you all the time and you’re free to reach out to us for any help you might need! We hope you learned at least something from this article and we promise to be back with more really soon!